The IT landscape is very different than it was just a decade ago. The challenge this creates for IT admins is that while the landscape may change quickly, the management tools to support them often lag behind. This is true with two of the most significant changes in the business IT world, the movement to the cloud and the advent of BYOD (Bring Your Own Device). Each of these changes have had profound impacts on the way IT is run. In fact, we’d argue that nowhere has the lag been felt more than in the directory services sector of identity management. 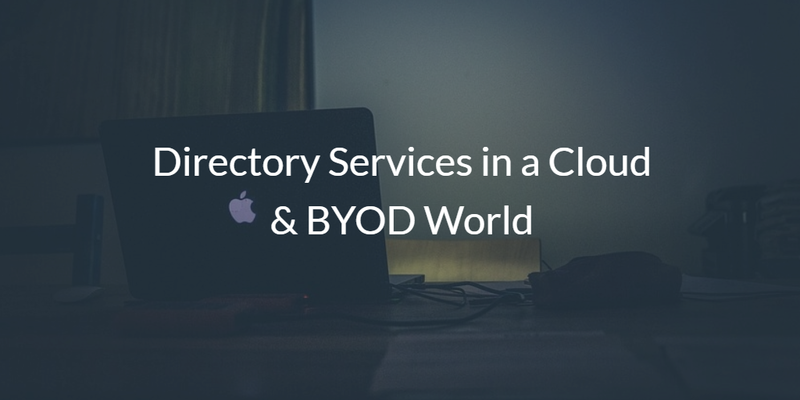 In this blog post, we’ll review how directory services in today’s cloud and BYOD world is changing and adjusting to the challenges. The cloud was a natural extension of the shift to an Internet based IT society. The IT world has vacillated from being effectively centralized, to decentralized, and returning back to centralized. With each of these models, the tools available were customized to the era that they were in. Mainframe management tools, and their associated companies, really didn’t make the leap to being client/server based management tools. Similarly the client/server era solutions such as Microsoft Active Directory® started struggling in the modern cloud era. One critical and lasting trend emerged in the 2000s: Apple’s resurgence in the marketplace. Millions of employees – from the recently hired to the executives – found Apple’s line of Macbooks, iMacs, iPhones, and iPads attractive. They were easier to use and nicer to look at. This popularity translated into many consumers buying them for their home use. Of course, once these users became comfortable with the products, they also wanted to use them at work. It would make them more productive, after all. Organizations started to succumb to the pressure of using alternative platforms and instituted Bring Your Own Device policies. Effectively, users could bring whatever they wanted to work on, but IT would set-up policies on how they would be managed and supported. This policy brought a mixture of solutions into the environment. The problem with this was that Active Directory, was built on the concept of managing Windows users and systems. Suddenly, the IT environment was dramatically different in a way that wasn’t anticipated by Active Directory. 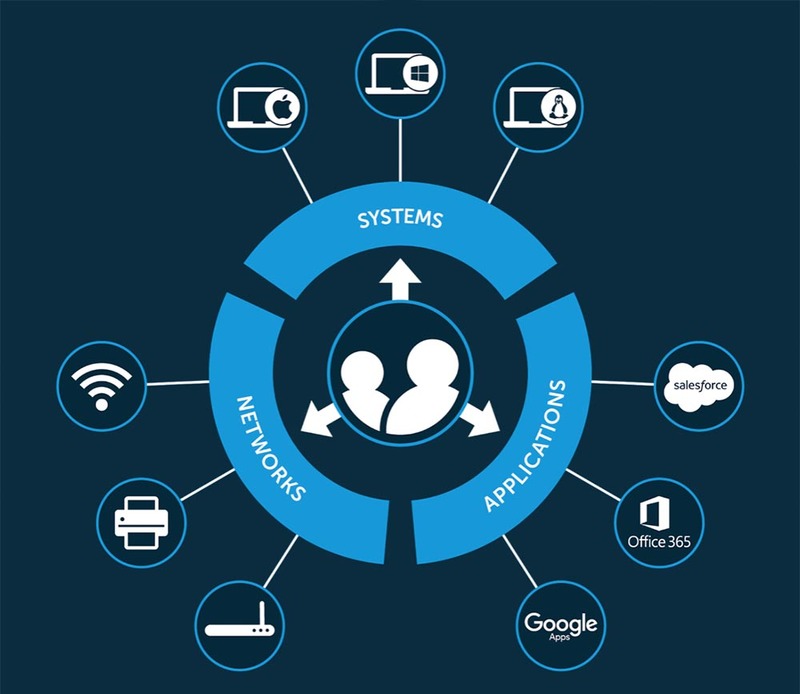 With this new environment, the question for IT admins became “What should I do for directory services in an era of cloud and BYOD?” The answer was, of course, to look for a cloud identity management solution – one built for the modern era of IT. This solution is a product called Directory-as-a-Service® (DaaS), a product that can securely manage and connect user identities to the IT resources that they need. The IT resources can be Windows, Mac, or Linux systems, on-prem or cloud servers hosted at AWS or Google Cloud, web and on-prem applications leveraging LDAP or SAML, and wired or WiFi networks utilizing RADIUS. In short, Directory-as-a-Service encompasses the changes of the move to the cloud and BYOD into the foundation of the cloud directory service. If you would like to learn more about how directory services in the cloud and BYOD era is changing, drop us a note. We’d be happy to walk you through the next generation of identity management – cloud directory services. 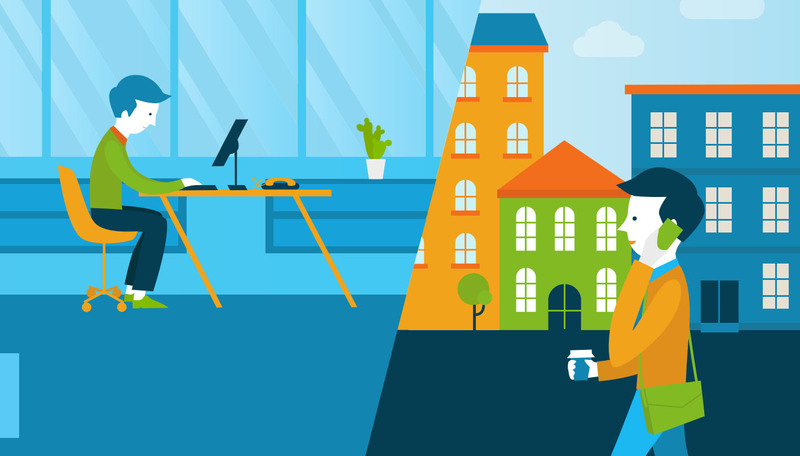 Additionally, fee free to sign-up for a free cloud directory account and check out how it is reimagining Active Directory and LDAP for the cloud era. Your first 10 users are free forever.